Are your loved ones using WhatsApp to hide their text conversations? Do you fear your employees are just wasting away their time on WhatsApp? Would you like to find out exactly what they talk about? To do you want to lay your eyes over the media they have been sharing? iSpyoo lets you Spy On Whatsapp Messages that take place on a phone and will help you get the full story of their conversations. All WhatsApp spying information be accessed by simply logging into your online iSpyoo control panel. There are many different WhatsApp spy applications (sometimes called WhatsApp hack tools) that are available. Choosing the right software can be difficult if you are looking for the best option in terms of price and features. 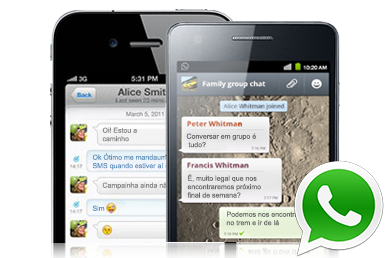 When it comes to smart phones, whatsapp is one of the top chatting applications on the market. Almost every person who owns a smart phone uses WhatsApp. It enables you to communicate with your friends and loved ones in the most convenient way possible. So if you want to find out information on someone’s phone; all you need to do is access their WhatsApp chats. All WhatsApp conversations are uploaded to your online iSpyoo control panel which you can access from anywhere with an internet connection. 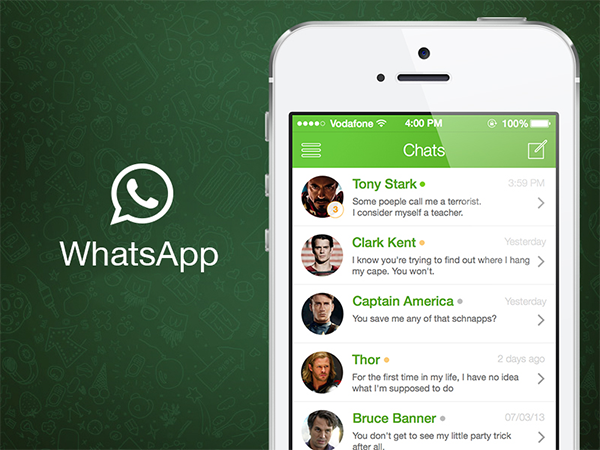 Download iSpyoo to Spy On Whatsapp Messages today! Prev:iSpyoo – Mobile Phone Tracking Software To Monitor Children! Next:iSpyoo – The Best GPS Phone Tracker App 2014!